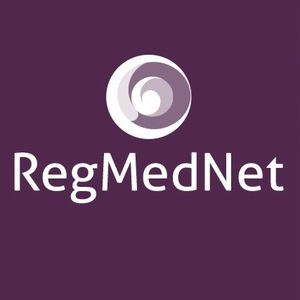 In this post, learn more about the inaugural winners of the RegMedNet Award for Cultivating Excellence, Cells for Sight (University College London, UK). Cells for Sight was established with the aim of researching, developing and delivering safe and effective therapies for the prevention and treatment of blinding eye disorders. The program is a collaboration between the research group of Professor Julie Daniels at UCL Institute of Ophthalmology and clinicians at Moorfields Eye Hospital NHS Foundation Trust. Transparency of the cornea, our window to the world, and functionality of the neighboring conjunctiva are critical for vision. Compromise of the various stem cells that maintain these tissues can lead to blindness. The Cells for Sight research team aims to understand the biology and therapeutic potential of stem cells (and the cells with which they interact) to develop and deliver novel cell-based therapies and anti-scarring strategies for patients with blinding corneal and conjunctival disease. Dr Marc Dziasko’s research aims to understand the role melanocytes in supporting and maintaining the epithelial progenitors in their native microenvironment. Decoding the crosstalk between limbal melanocytes and limbal epithelial stem cells is an exciting research topic for the future development of tissue engineering and stem cell based regenerative medicine of the ocular surface. Ms Christiane Kafarnik’s research focuses on corneal stromal dystrophy; which is an inherited condition which occurs in multiple breeds of dogs (and humans). The key goal of this project is to derive an in vitro source of canine corneal stromal cells to use as a novel tool to allow the future study of the inherited components of corneal dystrophies in dogs and to begin to determine the therapeutic potential of the cells. Ms Carla Sanchez’s project focuses on understanding the biology behind aniridia related keratopathy, a condition affecting the ocular surface in patients with aniridia. Aniridia is a progressive eye disorder caused by a haploinsufficiency of the PAX6 transcription factor, for which there is no effective treatment. By culturing human corneal aniridic cells and making in vitro models of the aniridic cornea, the final goal is to assess the impact of PAX6 on corneal cells and their interactions during homeostasis and disease. Dr Louise Morgan’s project is to standardize protocols for production of stromal cell populated RAFT (Real Architecture for 3D Tissues) for the culture of epithelial cells in the research laboratory, and then to transfer production to the cleanroom where working practices are more stringent. The first step towards clinical trial translation will be to demonstrate our ability to reproducibly manufacture cell-populated RAFT in compliance with Good Manufacturing Practice (GMP) through the development of robust Standard Operating Procedures. Ms Rita Pinho’s project stands between the basic and translational interface. The project aims to discover the best localization to isolate corneal stromal stem cells (CSSC), because it has been shown that they have anti-scarring properties and support the growth of limbal epithelial cells. Using tissue engineering approaches, this project will lead to the development of a method to deliver this CSSC to patients using our novel collagen-based GMP compliant ‘RAFT’ technology. The Cells for Sight Stem Cell Therapy Research Unit was established in 2005 and was the UK’s first Medicines and Healthcare products Regulatory Agency (MHRA) accredited cultured stem cell facility. In 2011, the facility was re-housed in a new, state-of-the-art, cleanroom suite at Moorfields Eye Hospital. The new facility was designed to support the manufacture of an increased range of Advanced Therapy Medicinal Products (ATMPs) under MHRA “Specials” and Investigational Medicinal Product licences. The facility is also licensed by the HTA for the procurement and testing of human tissues for human application. Cells for Sight has delivered tissue-engineered corneal grafts, manufactured from both autologous and allogeneic corneal limbal epithelial stem cells (LESCs), to patients affected with limbal stem cell deficiency, at MEH. Cells for Sight have also partnered with The London Project to manufacture replacement retinal pigment epithelial patches from human embryonic stem cells, for patients with Age related Macular Degeneration. Additionally, the facility is used by academic, NHS and industry partners for contract manufacture.